Politicians from Jersey are going to Barbados to study how its government works. 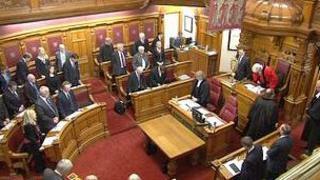 Members of the Electoral Commission are researching ways to reform Jersey's government system. Commission Chairman Senator Sir Philip Bailhache said the trip for two members and an officer would cost about £6,700. St Helier politician Deputy Geoff Southern condemned the decision to go to Barbados, calling it a waste of tax payers money. During their visit Senator Bailhache and vice chairman Colin Storm plan to speak to politicians and government officers about the structure of the Barbados parliament. Senator Bailhache said it was chosen because it was an island jurisdiction similar to Jersey, with two houses, the Senate and the House of Assembly. Its members have also travelled to Guernsey and are planning to visit the Isle of Man in August. Deputy Southern said it was "an unnecessary and outrageous waste of taxpayers money and time". He said: "There is little to discover from a visit [to Barbados] that could not have been covered by an internet trawl or a skype conference. "With the island still in the clutches of recession, and so many unemployed there can be no excuse for such a glorious waste of money on what can only be seen as an unnecessary jolly."